Lumex's InfoVue™ Numeric LCDs are an easy, costeffective way to communicate numeric information in a user-friendly environment. Typically, these modules display 7, 14 and 16 segment digits with a variety of graphic icons for status, such as polarity (+/-), temperature, ˚C/˚F battery level indicators or decimal points. 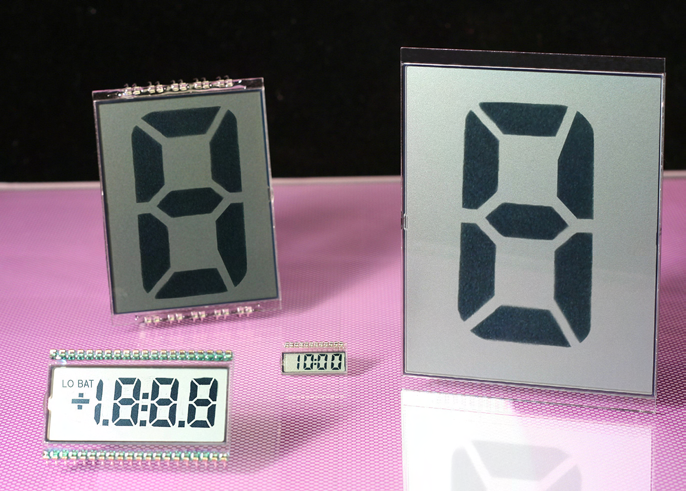 The relatively low non-recurring engineering (NRE) charges allow Lumex's InfoVue Numeric LCDs displays to be easily customizable. Every feature of the display can be customized from icons to the digital segments to the complete mechanical design.